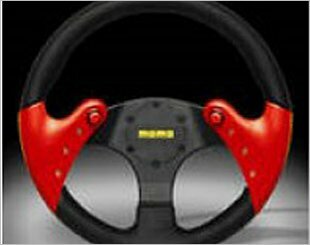 The steering wheel - a part of the steering system - controls the movement of the vehicle and responds to drivers' inputs. 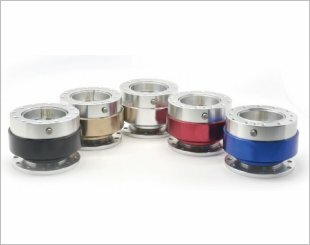 Aftermarket steering wheels provide several advantages over OEM (stock) equipment-like smaller diameters or lighter wheel for better handling, aesthetic appearance and, in some cases, better durability. 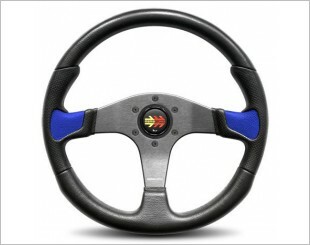 A suitable steering wheel is based on your driving style and characteristics. 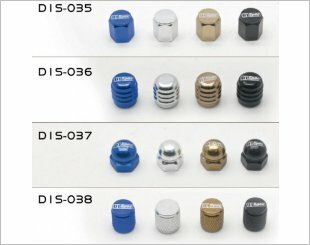 Air Valve Cap - Aluminum made with 4 styles to decorate your car. 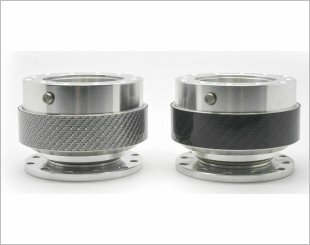 Steering Wheel Accessories - Ball-Lock System steering wheel quick-release. 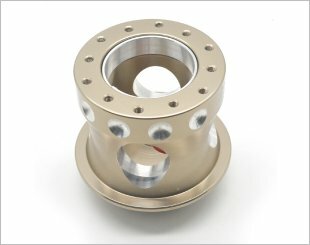 Steering Wheel Accessories - Steering wheel adapter (Short hub). Simple and efficient use to give security confidence. 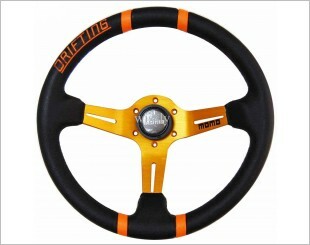 Suitable for use in various steering wheel. Locks the steering wheel to the brake pedal. 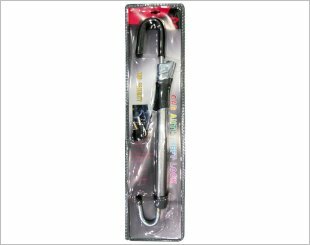 An adjustable lock which is easy to install. 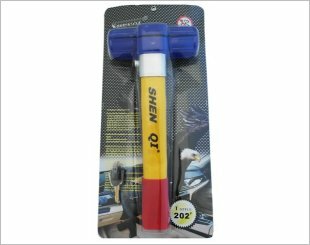 A car anti-theft lock which locks steering wheel, brake pedal and adjustable lock. Measures at 350mm, comes with a central horn button and it is black with suede, brushed metal inserts. 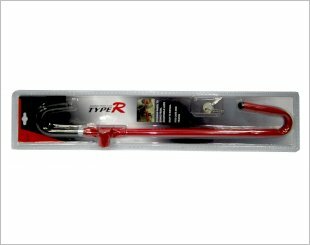 Comes in a square bottomed design and measured at 350mm. 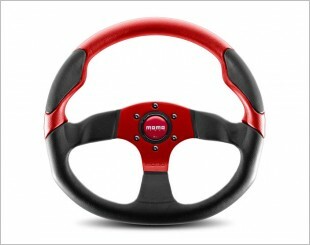 Uses a urethane rim with leather inserts, measures at 350mm and it comes with a centre horn button. 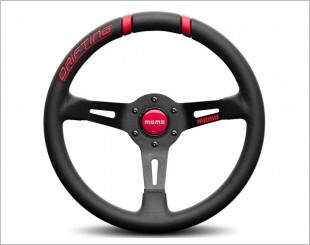 Measured at 350mm and comes with a central horn button. 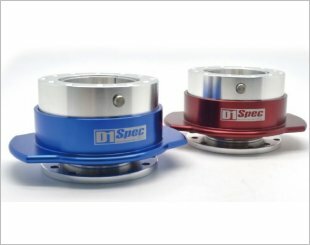 Measures at 330mm, comes in black leather with red or blue accents. 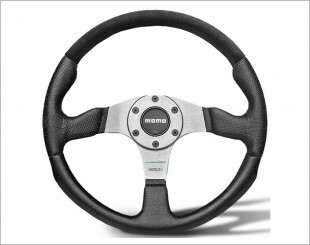 Momo F1 Spider Steering wheel with horn buttons. 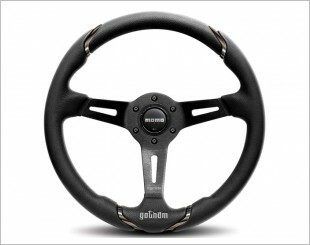 Gotham MOMO Gotham dished steering wheel with 3 anodized spokes in black, suited for all types of driving- rally, track or road. Complete with horn button.